To make the crumble topping: whisk sugar, flour, cacao nibs, cocoa powder, and salt in a medium bowl until blended. Work in butter with your fingers to form large clumps; there should be no dry spots. Cover and chill. Preheat oven to 350°F. Coat a 9”-diameter cake pan with cooking spray and line with a round of parchement paper. 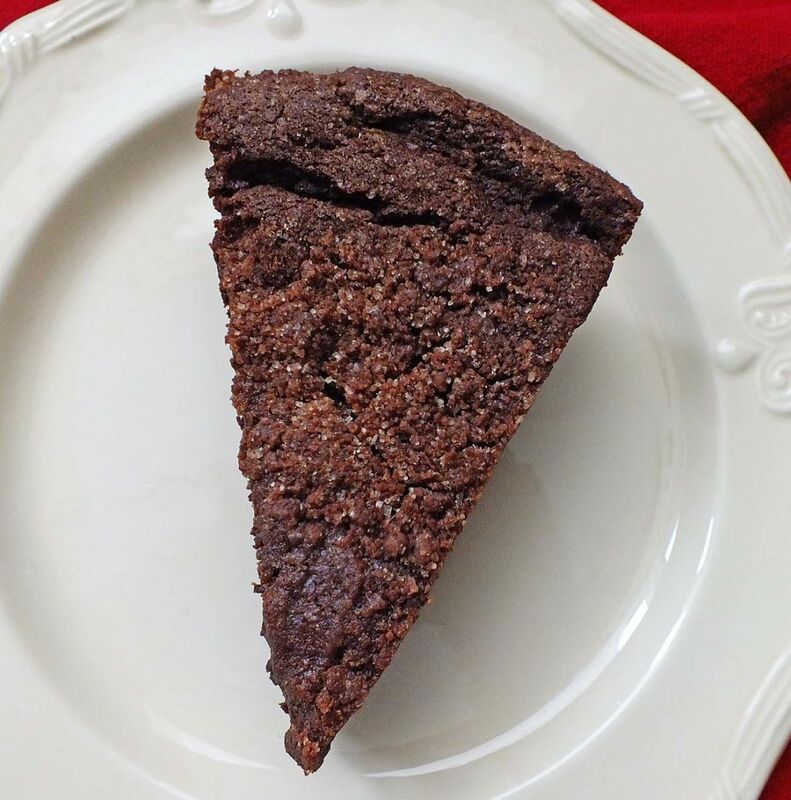 Whisk all-purpose flour, rye flour, cocoa powder, baking powder, baking soda, and salt in a medium bowl. Using an electric mixer on medium-high speed, beat butter, granulated sugar, and brown sugar in a medium bowl until light and fluffy, about 5 minutes. Scrape down sides of bowl and add eggs, squash or applesauce and vanilla; mix until blended, about 2 minutes. Reduce speed to low and add half of dry ingredients followed by buttermilk, mixing well after each addition. Repeat with remaining ingredients (this is a stiffer batter). Scrape into prepared pan. Scatter crumble over. Bake until cake starts to pull away from sides of pan and a tester inserted into the center comes out clean, 60–70 minutes. Let cake cool in pan on a wire rack before turning out.